If you want to spend a great time, then you'll love this march. 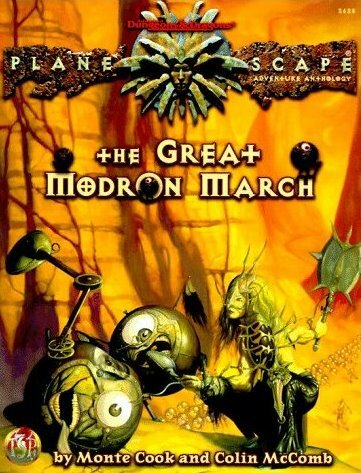 In this book you'll know a lot about modrons and can visit many of the planes. The plots are quite good and fun. A MUST HAVE!!!!! c'est du trés bon, mais malheureusement c'est sur du long terme plus difficile à mettre en place désormais. totaly awesome, with an ending a little bit confusing! less better than Dead gods, it's a great campaign for introducing planewalkers!